I was sent a complimentary pair of flip flops from Flopz for review purposes, all opinions are completely my own. Can it be true? 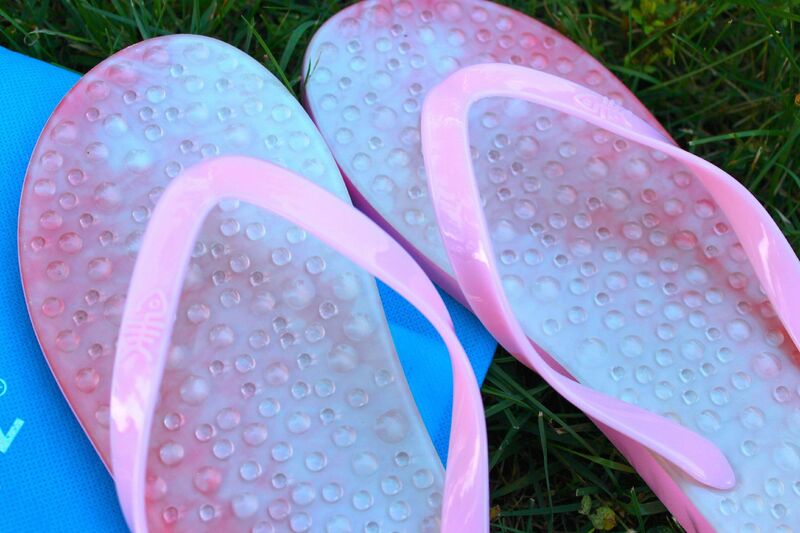 Can flip flops actually soothe your feet while you walk and wear them? I wasn't a believer, until I tried Flopz flip flops. Picture it with me: you just bought a brand new pair of shoes that you were dying to wear, only to have them hurt your feet after two minutes. Now you are mad at yourself; why did you hurt your feet so badly? Well, if you have a pair of Flopz flip flops you can soothe your tired and hurt feet as soon as you slip them on. Flopz keep your feet feeling rejuvenated the entire time you wear them. These gorgeous and comfortable flip flops are completely luxurious. They have a unique gel layer insole that massages your feet while you walk, and they do not rub. Even though they soothe and take care of you, they aren't bland or ugly. Flopz come in a variety of bright and beautiful colors, making them so fun to wear and match with the clothes in your closet. Flopz have the unique luminescence of tropical fish and coral reefs - the colors are breathtaking. It is hard to stop myself from wanting to buy them all because the colors are so pretty. Yes, I realize that the calendar says September 21, but the warm days are not behind us just yet. I am all about rocking a fab pair of flip flops with my jeans well into October. 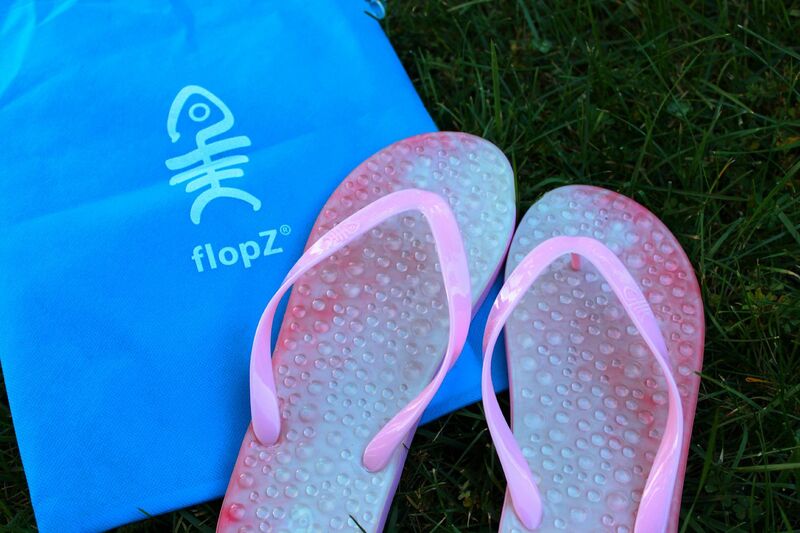 If the warm Virginia days are going to stick around, I'm going to welcome them with open arms and my pink Flopz. Allow yourself (and your feet!) a little bit of luxury during these last warm, muggy days of the year. I like to take my Flopz to the nail salon with me, so I can continue the pampering of a pedicure even as I walk out the door! Cute flips, and they soothe?? Even better! !